Last Tuesday Omega Watches, together with the Swiss Federal Institute of Metrology (METAS) announced that in 2015 the Swiss watchmaker will start using a new watch certification process for all their Master Co-Axial watches. 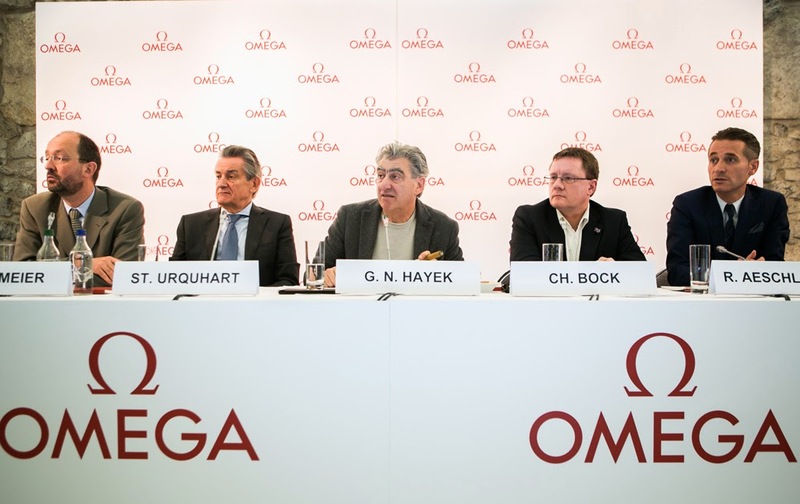 At a press conference at Geneva's Cité du Temps, the Swatch Group CEO Nick Hayek and the President of Omega Stephen Urquhart were joined by Christian Bock, the Director of METAS. Stephen Urquhart remarked the important milestone represented by the launch in 2013 of a mechanical movement resistant to magnetic fields greater than 15,000 gauss. The anti-magnetic movements were then introduced on a large-scale in Omega's Master Co-Axial watches earlier this year. It was then the turn of Mr. Hayek who suggested that in recent years it has become pretty evident that the COSC chronometer certification, long the industry norm, needs to be strengthened. The new certification "Master Co-Axial Officially Certified", that Omega will start using in the middle of 2015, will test the finished watch instead of just the movement. The Swiss Federal Institute of Metrology (METAS) is the centre of competence for the Swiss government for all matters involving measurement and measuring procedures. Being completely independent, the Institute remarked that the agreement with Omega has no suggestion of exclusivity and other clients would have access to the same certification. In order to earn the "Officially Certified" distinction, the watches will be tested for their precision during and after exposure to magnetic fields greater than 15,000 gauss – they will have to perform within a tolerance of 0 and +5 seconds per day, for autonomy (functioning without winding, measured in hours) and water resistance. Last Tuesday Omega Watches, together with the Swiss Federal Institute of Metrology (METAS) announced that in 2015 the Swiss watchmaker will start using a new watch certification process for all their Master Co-Axial watches. The new certification "Master Co-Axial Officially Certified", that Omega will start using in the middle of 2015, will test the finished watch instead of just the movement.